Today’s feature is 1987’s House II: The Second Story. House II was written and directed by Ethan Wiley, who provided the screenplay for the original House and directed Children of the Corn V: Fields of Terror. Some credit was still awarded to Fred Dekker (RoboCop 3, The Monster Squad, Night of the Creeps) as a writer, due to him coming up with the original story concept for House. The cinematographer on House II was the veteran horror director of photography Mac Ahlberg, a frequent Stuart Gordon collaborator who shot such films as King of the Ants, The Wonderful Ice Cream Suit, Space Truckers, Robot Jox, Arena, DeepStar Six, House, Re-Animator, Dolls, From Beyond, Ghoulies, and Trancers, among many others. The editor for the film was Martin Nicholson, who has cut films like Halloweentown, Forbidden Zone, The Big Picture, and worked on handful of episodes of Game of Thrones. 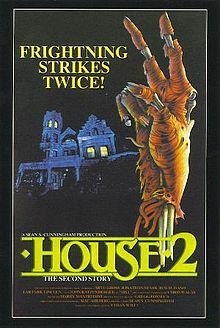 The two credited producers for House II were Sean Cunningham (Friday the 13th, Jason X, The Last House On The Left, DeepStar Six, House) and Andrew Z. Davis (Volcano, Red Dragon, Rush Hour 3, Your Highness). 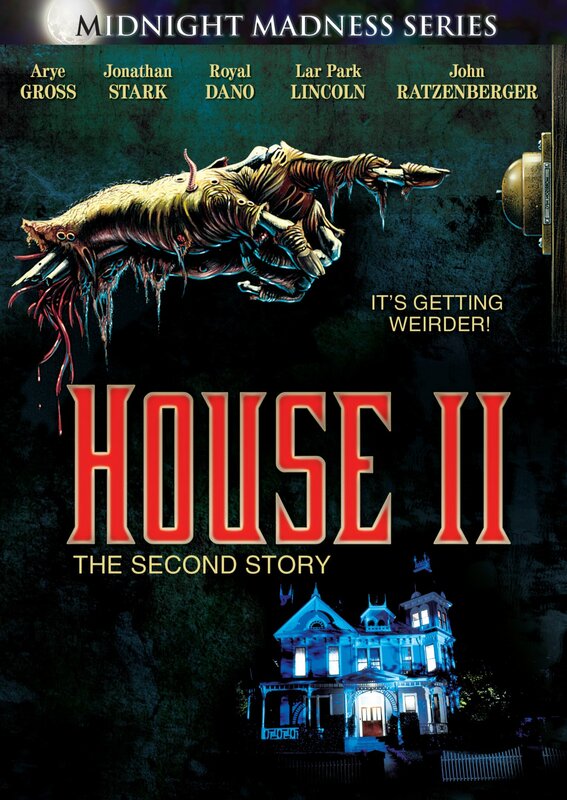 The musical score for House II was provided by Harry Manfredinim who is best known for his work on the Friday the 13th franchise, as well as movies like House, Slaughter High, DeepStar Six, Wishmaster, The Omega Code, Wolves of Wall Street, and A Talking Cat!?!. The special effects team for House II included Mark Walas (Signs, Gremlins), Chris Walas (Humanoids From The Deep, Piranha, DeepStar Six, Scanners), Peter Chesney (The Ladykillers, Waterworld), Mike Smithson (Battlefield Earth, Dollman, Brainscan, Suburban Commando, The Island of Doctor Moreau), Gregg Olsson (RoboCop 2, Gremlins), Kelly Lepkowsky (Hot to Trot, Arachnophobia), Jarn Heil (Iron Eagle), and James Isaac (Jason X, DeepStar Six). The visual effects for the film were done in part by Eric Brevig (Wolf, Wild Wild West), Phil Tippett (RoboCop 3, Howard the Duck), Mark Sullivan (The Stuff, Ishtar, Demolition Man, League of Extraordinary Gentlemen), Craig Newman (Speed, TRON), Randy Dutra (The Golden Child, Willow), Scott Beattie (Con Air, Freejack), Jon Berg (Laserblast, The Crater Lake Monster, Piranha). The plot of House II starts off with a man inheriting a house from his deceased parents. While going through the belongings, he discovers that a family heirloom is missing: a mystical crystal skull, which was apparently lost some generations before. On a hunch, he believes the skull may be buried alongside his great great great great grandfather, and convinces a friend to help dig him up. 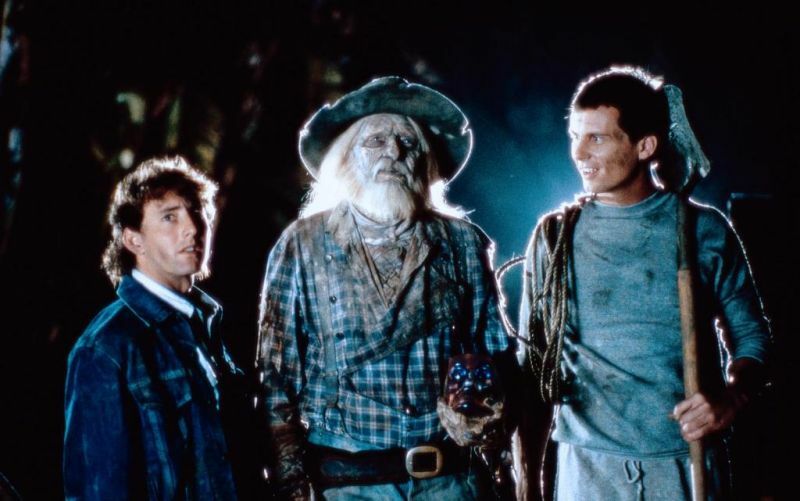 To their shock, not only do they find the skull, but also the living corpse of the impossibly old ancestor, However, instead of being a brain-hungy zombie, “Gramps” turns out to be a pretty cool guy, and leads the two friends into a series of misadventures as they protect the crystal skull from evil. On paper, House II is a sequel to the cult classic horror-comedy House, which came out in 1986. 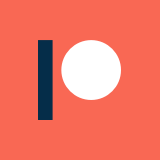 However, it only bears slight thematic similarities with its predecessor, and is arguably an entirely different genre. It was followed up with the perplexingly titled House IV, which was came out in 1992. 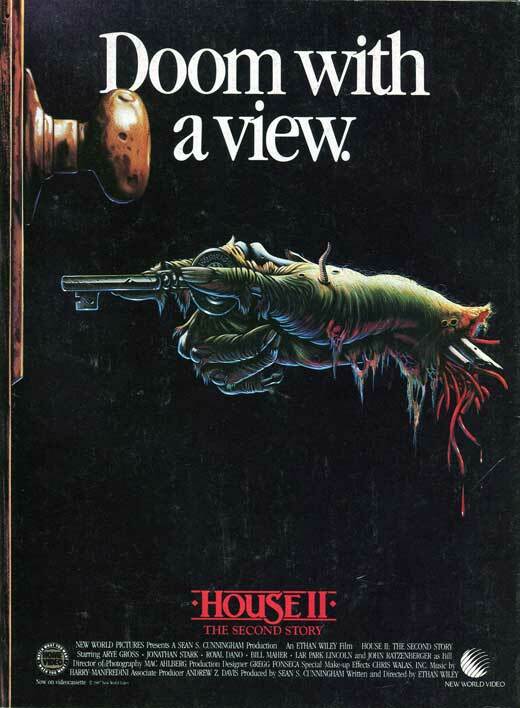 House III technically never existed, though the unconnected 1989 movie The Horror Show was labeled as such in foreign markets, necessitating the bizarre title of the franchise’s third installment. I wasn’t able to dig up an estimate for the production budget, but House II did manage to rake in 7.8 million in its lifetime theatrical run. The reception, however, was not warm: it currently holds a 0% aggregate score from critics on Rotten Tomatoes, alongside a 40% audience score and an IMDb rating of 5.3. This movie is, above all else, weird. House is a surreal and at times humorous horror adventure into the depths of a possessed house, and is kind of like The Burbs crossed with The Amityville Horror. House II, on the other hand, jettisons a lot of the body horror and otherwise disturbing elements of the first film, and focuses more on the idea of an adventure through alternate dimensions within the confines of a home. I definitely understand why fans of the 1986 House were disappointed in this follow-up, because it is definitely a different kind of movie. That said, I don’t think it is nearly as bad as its reputation would have you believe. I feel about the same way about House II as I do about Halloween III: if you can divorce the film from its fan expectations, it is actually a pretty fun ride. Just like with Halloween III, House II makes little to no sense, bouncing from one bizarre reality to the next. Magical crystal skulls, giant dog-worms, pterodactyls, and zombies from the old west all play important parts, and none of that makes any more sense in the context of the film. That said, I found it to be generally fun, if not entirely coherent. I might go so far as to say that House II is like John Dies At The End without the edge or the cynicism. In general, I think this weird, weird movie deserves a second look from a new generation. This comedic ride into complete nonsense is a blast: perhaps not a Troll 2 or The Room, but it definitely deserves more recognition as an entertainingly bad movie. Who doesn’t love a story of bonding between a man and his great great great great grandfather?